Josep Roca: "Wine breathes Nature and I do think it has no boundaries"
Josep Roca Fontané (Girona, 1966) has the methodical view of one whose daily task it is to describe the pleasure-creating machine that is El Celler de Can Roca to his customers. It is he who speaks of drinks and culinary delights, describing and presenting them: the power of the word, the magic of communication” This is how it is done in his family restaurant. Kindness, modesty, appreciation, serenity, warmth, poetry, etiquette, the rich background of a man who has traveled, shining spirit, passion and brilliance. All these qualities and more are possessed by this wine waiter and maitre of the best restaurant in the world, who also defines himself as a storyteller. A few days after April 29, when Restaurant Magazine proclaimed the restaurant run by the three Roca brothers to be the “best in the world”, Josep Roca received Selectus Wines in this revered culinary temple in the Talaià district of Girona, just metres from where it all began, the fonda de Can Roca belonging to his parents, Josep, a former bus driver, and Montserrat, a cook. Josep Roca, who has amassed 35,000 bottles in his sanctuary, gets more and more excited as he takes you round his cellars, describing a champagne’s carbon dioxide with lively gestures or evoking images and music as we walk past Rieslings, Burgundies, the earthy Priorats and unique gems from the world of Jerez. It is not a dream, but pure passion made reality. In his cellar there breathes a lyricism which is anything but melancholy. The informal, good-natured interview lasted 42 minutes and 52 seconds under the effects of the lunar node but without any of its supposed negative effects. The heavens also did not seem to conspire against us. Listening to Josep Roca, one could be easily reminded of the lines of the Bengali poet and philosopher Rabindranath Tagore: "I slept… slept and dreamt that life was nothing but joy. I awoke and saw that life was nothing but serving… and the serving was joy. " Is being the Maitre and sommelier at the “world's best restaurant” a heavy responsibility? It's an extraordinary position to be in, to have realized a dream that began 27 years ago and to have the good fortune to be able to continue along this path of excellence and above all, of passion. Besides what people say about us, we are extraordinarily lucky to have made our passion our profession, to make people happy, and to do so as brothers together in a family environment. What do you get out of the interaction with your customers? Is it enriching? I’m not sure if that would be the right way of putting it. I think we need to give, to offer, we have to sell happiness and we have to share. As wine waiter and Matire, I think I have a big role to play and I think that there is a fantastic relationship combining dialogue, interaction, complicity… where I sometimes have the feeling that I need to explain and show, often through gestures. With the cuisine that we create, we need to express ourselves… I think we need to share this intimate part of what we do in an enthusiastic way, and then get a reciprocal effect of warm gratitude from people whose senses have been awakened. Does it upset you to have to say that there are no tables available for a year? I think we can't really complain. And sometimes, when you say you’re sorry, it sounds a bit fake. It's an odd situation. We do in fact experience a certain feeling, not quite of anguish, because it's not as bad as that, but one of distress… You’re in a situation where you cannot meet the requirements of people who are quite naturally asking for a table. Managing people is more difficult and complex than we thought. But for some time now, I’ve been trying not to come to the phone as I don’t enjoy the experience. What is the best-kept secret hidden away in the impressive wine cellar you manage? There are many stories in there, some of which are very intimate, some that are well known in the family, others relate to professional experiences and yes there are treasures hidden there... In any case, what is best kept is the fond memory of conversations I’ve had with some vignerons I've been lucky enough to visit, to which the bottles on these shelves bear witness. These are experiences lived. Do you have that very special bottle of wine that you never find the right time to open? I have no problem opening important bottles. It upsets me when they stay in the cellar… yesterday we took out a couple that really let us down (referring to two "dismal" bottles of two big Bordeaux, that of a Premier Grand Cru Classé Château Cheval Blanc from 47 years ago, a 1966, and a Chateau Ducru- Beaucaillou 1990). It is also true that wine is made to be uncorked. I don't feel that I shouldn’t open a bottle. If my heart tells me to, I’m capable of opening any bottle at any time. And there are some bottles that are very important and very special to me that I could uncork today or tomorrow. I know that wine survives and the bottle doesn't finish when the liquid has 'evaporated'. Otherwise there wouldn’t be so many empty bottles on the shelves. Those bottles are filled with stories. Once you told me that wine, like music, is universal and knows no boundaries. Perhaps that is why in your cellar as much, or greater importance even, is given to Burgundy or Champagne as there is to local wines? I like wine. I’m drawn by our fascinating dialogue with it, a dialogue of man and nature. I like the different interpretations of this dialogue from the north to the south, in different hemispheres with different exposures and latitudes, influenced by meridans and parallels, microclimates, mesoclimates… Wine breathes Nature and I do think it has no boundaries. Boundaries are created by man and I drink Nature. I feel as free as someone who enjoys music without ever wondering about national origins or someone who reads a book thinking only of literature. Having said that, right now, more than ever, I want to get closer to our local produce and especially wines from this area. I don't want to relinquish my role as ambassador for the people in my area. I've heard you say more than once, probably as you are far too modest, that a sommelier is a wine waiter. Do you think that the profession is prestigious enough? Do you believe that there are too many sommeliers? First of all, I think we have a weird situation where my brother can say he's a cook and that’s OK, and I, on the other hand, have to justify saying that I am a waiter. I imagine there are cooks who work in places where personal expression is limited or where it's very efficient and standardized. It seems that the waiter has to explain a lot more, right? In any case, cooking is a profession and I’d argue that waiting at table is too, the waiter is a professional with the same knowledge as a cook, but with the ability to communicate, or a desire to create empathy with the customer. There are also other factors that come into play: the presentation, the rhythms and rituals, the choreography, the applied psychology, the generosity and the hospitable disposition. Another important aspect of being a waiter is to “sell happiness”. You don’t believe that restaurant service receives the recognition that it should? I think that's the case, and there are several reasons for this. The important thing to remember is that people go to a restaurant to eat and the waiter should of course be conscious of the fact that the most important thing in a restaurant is the food. So, if you have to quantify it, 70 or 80% of the importance of a restaurant comes from the food served. But then there is that 20 or 30% which we must deliver through the service, we take that initial idea that the customer has come to eat and we transform it into a fabulous, memorable experience for the customer. The service provided has to build on the success of the food and be able to seduce the customer so that the chef can shine. We are the communicators of our cuisine, our philosophy and we have an extraordinary opportunity to be ambassadors for our local food products. The waiter should take advantage of this. No… I think that since the 90’s, when professional courses started, and there were not only mythical characters such as Josep Vilella or Pitu de La Gavina, or the great Custodio Zamarra, sporting his tastevin and still working today…, it has been energized, there had been some studies, immaturity, ambition, envy, a showiness that I think has died down in the last 20 years. Now there is much less of the worry and bravura, the impudence of wanting fast recognition that it didn't get because society wasn't ready for it. I think those were years where there was a certain inexperience, a need to show off, that filled the restaurants with heavy handed and even rude waiting staff, which bears no resemblance to how a customer will be received in a restaurant today. I think we've passed that conceptual immaturity. Now I don't think there are few sommeliers but rather that there a many well trained individuals who have the vocation to learn about the world of restaurant service and the world of wine. Professionals who have seen how a new generation of vignerons from the area has rekindled a love for, and return to, the terroir, and this generation, who is now serving in restaurants, is contemporary, gets involved and shows enthusiasm, without talking down to customers. We sommeliers have learned from our inexperience. We don't need to show off because we know that it is the winemaker who we should be showing off. For a time we wanted to position ourselves above the winemaker and I think we're now one step behind the experienced winemaker. The guys who are currently studying and serving wine in restaurants are from this second generation which is better prepared and has greater sensitivity, and it also benefits from a more appropriate environment: breadth of knowledge in our society, gastronomic eclecticism, more open-mindedness, better training. What for you is a great wine? A wine that is honest, that is consistent with the countryside of its origins, has a connection with the people behind it. It doesn’t necessarily have to taste fantastic. But it should show a relationship between the climate and the work of the person who produced it, the wine should reflect either where it was produced or who produced it. You said that in the future demanding consumers will look for honesty in a wine. However there are very few really honest wines, right? I think there are enough… what happens is that when you focus on a particular region it can become awash with speculation, because of the market, and the difficulty of finding a truly unique taste. But if we take a look at the international market, I think there is a lot of honesty in terms of definitions of skills, symbols of taste, philosophies involved, specific grape varieties that thrive quite naturally in certain areas. I think there are many interesting debates taking place in many parts of the world, and in Spain as well. It is also true that we live in a world of confusion, needs, difficulties, deceptions, with some heavy baggage, bad legacies, lazy errors, so some regions have much more difficulty in expressing their honesty. When we hear someone say “the people who make this wine are not honest” there could be a real reason for this. Maybe the people who make wine here have been handed down a bad legacy. The unpredictable side of life, or the lives of two generations, destroyed crops, the difficulty of preserving living organisms in the subsoil, and those uniform practices in wine-growing which have also resulted in you not being honest at times. But that too is understandable, it happens in many aspects of life and we need to be aware that we now live in a global world as well as a local world, it isn’t all down to the strength of our intentions but also to the context of the environment we live in, of our reality, of the synergies that there have been in the recent past. We have to be conscious of that too. Don't you think...?" What styles do you think will be imposed on wines in the near future, wines with lower alcohol, fruitier wines, wines with less oak, easier to drink wines, more elegant wines, more exciting wines…? Well, you used a lot of descriptors that I like. I think it will be wines that will match a healthier, fresher and more balanced diet. Wines with a conscience. Wines where science will help conscience. Wines that will not shy away from the research process, but which will be more natural. Wine which will probably be less protected. More accessible wines. Wines for earlier drinking, with greater acidity. Greater acidity doesn’t usually mean earlier drinking. No, but... Well. Wines with greater accessibility, and in any case wines whose framework is not so much based on alcohol and more on acidity, to put it another way. Wines will of course be committed to sustainability: CO2 emissions, carbon footprint… I think all these environmental issues will be adopted not only by wine but also within gastronomy and cooking. I think that this concern for sustainability will take us along many paths that do not meet just yet. I believe that large companies and other companies with interesting ideas, will get closer to the vineyard and move further away from additives and pesticides. That for me is the basis of what I believe will be the wines of the future, regardless of styles, areas, meridians or parallels. I guess you therefore applaud the current organic, biodynamic and natural wine revolution as long as the wines are honest and not just a sales pitch? Yes, for example. He practices sustainable viticulture, aware of the magnitude of nature but also aware of the fact that we can bring out the enchantment of nature’s beauty, and act with ingenuity and consciousness, but above all with conservation in mind. All this is going on now and I think it's very positive. There are other things that I don't really like quite so much, such as this confusion in the wine world and the approach to the descriptions of ecological, biodynamic and natural which are still being debated and which can lead to confusion, people taking advantage, marketing, deception… turning what is a life philosophy into a sales pitch. I think it will be like what happened with cava. In the case of cava, for example, about ten or fifteen years ago, there was a big show of new wines and new concepts… and then it all died down. In this respect, we are now becoming very active in Spain, although we started very, very late. We are seeing a micro revolution here where as in Italy or France these movements have been established for quite a while. If you consider that biodynamic wines started moving in France in the early 70’s while in Spain, we only started talking about biodynamic wines, let’s be generous, about ten years ago. We still have no point of comparison with the awareness in Italy for example, where there is an extraordinarily diverse movement. Do you believe that we wine opinion leaders communicate in too heavy a manner? Do you think we should try to strip wine of its sophistication and complexity? I believe there is a need to provide less descriptions of the wines and more normality in the sense of making wine more accessible to people, not alienating them. Don't try to fool people, don’t be overly hyperbolic, I think we can acknowledge that we do sometimes fall into this trap. But I see wines like people. And people can understand if you say a wine is fatigued, tired, if a wine has grown, if a wine is proud. And then you can explain that a proud wine is one with lots of oak, a lot of smokiness (a smoked wood), has great structure, is very tannic, has great weight, has body, has muscle… so it’s acceptable to say that a wine is proud. Continuing on the same theme, could a wine be understood without all its romantic or poetic clutter? I think so. But be careful... I believe that wine is a drink which is difficult to understand without the cultural background. As a drink it’s acidic, bitter and sometimes even salty… and it needs this cultural background to gain all its complexity. The taste culture would likely lead us down other paths. Its historical importance, which moves us, envelops it forever. I don't think it's necessary to speak of wine like we do of poetry. Sometimes a wine is all about cheerfulness, interaction, manners, landscape, philosophy of life, fun... sometimes it's intimacy, but sometimes it can also lead you to a dialogue with science and research, and a dialogue with nature. It’s nice to see a wine from green pruning and another without from the same estate, wine from grapes harvested 15 days before the grapes that went into the other wine. There's no poetry here, just different approaches. It’s fantastic to see what can be done with the same grapes from the same vineyard, one wine benefitting from wood ventilation and the other aged in stainless steel, they can be very different! But this isn’t poetry. It’s great to observe that someone will make wine in a particular way depending on whether he or she is frugal and rustic in character or a sophisticated hedonist. And how interesting it is to see that a wine can be full of vanilla, smoke and creaminess while another is acidic, rough, and even watery. This is not poetry, this reflects a philosophy of life. But in terms of the dialogue between science and nature, it is very interesting to observe, from a tangible point of view, that wine is physics and chemistry. And when I say that wines are like the people who make it, I also refer to how people make wines which interpret their views of philosophy and science. Do you think that more attention is paid to international opinion leaders when it comes to Spanish wines? Perhaps people think that it’s more credible because it comes from outside? Why do you think that, until relatively recently, local opinion leaders didn’t have much influence? I think this is the way things are. When we talk about international opinion leaders we are talking about specific people who have gained credit, whoever they are and whatever country they come from. When someone is able to taste many wines with great talent and tasting ability and has created a school... that person has prestige, wherever he or she comes from. The most important things are tasting experience, background, experience, interesting writing and independence regardless of origins. There are some opinion leaders who are local and others from outside and who have great credibility. Then there are those journalists, who have influence and weight around the world, regardless of where they are. But it is true that, the world of wine has always been Anglo-Saxon to a certain extent and it is normal that this culture, accessible at media level because of its succinct style, has more influence in a world that wants to live like this: small, tangible, schematized, without nuances. England and the U. S. have given us this culture and the world has bought it. There are even some people who have changed their way of doing things. In terms of the press and opinion leaders at home, I think they have grown in the same way that the wine movement has grown. If people do not make wine in a distinctive and quality manner, it is difficult to talk about it. In the same way as we sommeliers have grown and matured, the opinion leaders have also grown and matured. If until recently in a region such as Penedès no-one had ever bothered to make a white for aging, laying down, to make a great wine, and if we don't have any large bodegas only making white wine, how can we promote, sell, show, or recommend a great white wine? From that point of view we cannot gain, or haven’t yet gained, international recognition as opinion leaders because we haven’t had the tools to promote ourselves to the world from where we are. The world of cava is going through a tough time. Brand “cava” has lost prestige, especially in international markets, prices have fallen, there have been boycotts, the number of retail brands has increased, there has been a diaspora of bodegas which have abandoned DO Cava… What do you think the future holds for cava? Well… I think there are different speeds. There are some major heavyweights who are deciding where the world of cava should go: where they want it to head, they will dominate, with some difficulty currently in obtaining higher prices. We are seeing downward price competition. These heavyweights can or have to do that and within the short term view of the other cava producers I think they have much to say. I think they could do some interesting things in terms of both short and long crianzas. I think we can take advantage of our Mediterranean location to project ourselves to the world, with no hang ups and with the ease of the grape varieties that breathe our warm air. We have the advantage of being able to play with good acidities and the largely untapped natural countryside surrounding us. Until very recently we had no real estate wines. And the challenge is to seek the competitiveness that comes from small, or even medium or large producers, selling specific estates, with meticulous work in the vineyards to provide as much natural character and expression of the terroir as possible. We have a lot we can show with sparkling wines in or outside the DO Cava. What can we do to attract young people to wine, in a responsible manner? Actually I feel a healthy envy of the Americans in this respect. They have been able to sell wine as a contemporary product, and have shown that drinking wine to loud music is a symbol of culture and fun. And here we are still tied to our grandfather’s traditional wooden barrels. The marketing campaigns that have been run have been few and have conveyed the wrong message or image. Lately there has been a much more open view towards young drinkers. The youth market is flooded, overwhelmed or overly conditioned by the carbonated soft drink brands, and has been negatively affected by the impact of beer marketing. There is only one chance for survival and to show youth that you offer something of value: after a post-industrial society, which is what I represent, as a person who did not depend on the countryside for subsistence, who may have gone there to pick mushrooms from time to time but who basically knows nothing about the countryside, we now see how the next generation is starting to return to the countryside of its grandparents to care for it, tend it and respect it. Youth of today has a special sensitivity to the land which you can see with this obsession, with the rise in wine tourism, and with the need to return to what it was that their parents couldn’t convey to them but what they can get from their grandparents. And I believe that wine brings people directly in contact with the land in a very real way. We now see young people in the vineyards and other young people who understand the work of those young people in the vineyards. Wine can be viewed as a phenomenon for rediscovering nature. I think that's the key to getting young people to enjoy, drink and pay for the work of their peers who are tending the land they love. For whom or why would you raise a glass and make a toast? For the people closest to me, for the people who want to share a moment of happiness with me, because wine is an expression of life and to toast with life is the most beautiful thing there is. And with whom would you not want to share a wine? Difficult question as I might share tough wines with people with whom I have difficult or bad relations. I think there is a wine for all occasions, even for drinking with people with whom you may have little affinity. For those people I think you can find a wine that symbolizes pain, distress, misunderstanding. There are wines for every mood, upset or irritation. There are wines that are strange, compelling, visceral, sometimes reductive, sometimes expansive. I have a wine for everyone. Josep Roca trained at the Hotel School in Girona. He is the sommelier and, along with his brothers Joan and Jordi, co-owner of the prestigious El Celler de Can Roca restaurant, awarded three Michelin stars, three Repsol Guide “suns”, 10/10 in El Viajero El Pais of JC Capel 2012, and five years among Restaurant Magazine’s Top 5, 2nd in Restaurant Magazine's guide to the world’s best restaurants 2011 and 2012 and 1st in 2013, and No.1 in Europe according to the German magazine, Feinschmecker 2012. 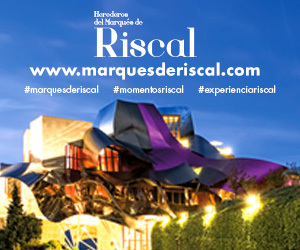 He also works with the Moo Restaurant at the Hotel Omm in Barcelona and Mas Marroch Banquets. He obtained a Gold Medal for merit in tourism from the Spanish Ministry of Industry, Tourism and Trade 2011, the National Gastronomy Award as maître and sommelier, the International Academy of Gastronomy’s Grand Prix for best sommelier 2005 and 2011, the best wine list according to the Revue du Vins de France 2012, personality of the year in France (the first time the award went to someone from a non French restaurant). He directs a sommelier specialization course at the University of Girona Foundation and is a professor in gastronomy and oenology at the University of Girona's Faculty of Tourism 4th grade. Delfí Sanahuja: "Oenologists have to make wine more accessible to people"
Ruth Sierra de la Gala: "It’s easy to make basic rosé, but much more difficult to make high quality rosé"